After 6 months of writing my first ebook is now available! Follow the link below to the store and the available packages. 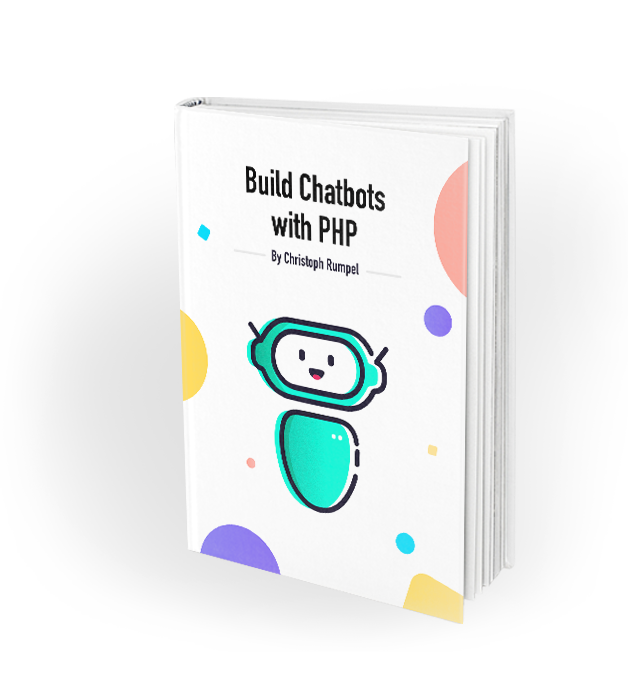 "Benefit from my experience and let me teach you everything you need to know to build chatbots in PHP"
I'm a chatbot developer and speaker from Vienna. For the last two years, I’ve been working hard to deepen my knowledge in programming chatbots and helping others to do as well. I’ve been building several chatbots for small and big companies as well as for group chats with my friends and personal ones for myself. I’ve gathered a ton of experience with different messenger APIs while integrating bots in Facebook Messenger, Slack, Telegram or on websites with custom solutions. I used my favourite programming language PHP for these projects. Yes, that's possible. No need to learn another language like NodeJS. PHP's got you covered! The book has been released on the 12th of July.